This month, we’ve been talking about the top three factors that college admissions officers consider when making admissions decisions. So far, we’ve covered the first two: grades and course rigor. Today, we tackle the third most important factor: SAT and ACT scores. Why are SAT and ACT scores important? With so many headlines about colleges that have dropped test requirements, it’s worth asking whether the ACT and SAT are still important. Are you a student who intends to only apply to test optional schools? Then I suppose you don’t need to worry about the ACT or the SAT. (If you would like to check out test optional or test flexible schools, Fair Test maintains an updated database.) Sure, there are a growing number of schools adopting test optional policies. 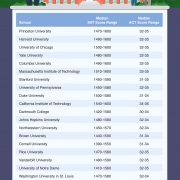 Just remember that competitive colleges still require SAT or ACT scores for admission. At most colleges – especially at the most competitive colleges – SAT and ACT scores are a very important factor for admission. After all, colleges receive applications from students who attend a wide range of high schools. These high schools have widely varying practices in terms of grading scales, grade inflation, and grade weighting. There’s really no getting around the fact that an A from High School 1 may not be equal to an A from High School 2. Every college does its best to account for these variations by examining unweighted core GPAs. SAT and ACT scores, however, allow colleges to compare students across the country using the same scale. A 1580 on the SAT is a 1580 on the SAT no matter where the applicant went to high school. A less academically sound reason for why colleges value SAT and ACT scores lies in annual college rankings. Publications like U.S. News weigh test scores fairly heavily when ranking schools, so colleges with lots of high scoring students on their rosters tend to perform better in the rankings. Colleges often attract these students by offering merit-based scholarships, which are often awarded primarily based on SAT or ACT scores. The short answer: SAT and ACT scores let colleges identify top students without the bias of different scoring systems. For a lot of students, SAT or ACT scores are a saving grace. Bright students who have relatively low GPAs can still be competitive applicants if they earn top SAT or ACT scores. Really good test-takers but not great students will benefit from the importance of SAT and ACT scores. For students who don’t necessarily excel at tests, there’s still a silver lining here. While there are no short-cuts to a top GPA or competitive course rigor, the ACT and SAT are coachable. Given enough time and effort, you can earn a top test score. It’s all about finding the best test prep method. And for those who just freeze on anything multiple choice and who just know that they’ll never have a top test score, there’s still good news. There really is a growing cohort of colleges that have become test optional or test flexible. Some highly ranked and widely respected schools are a part of this group. Testing is its own unique beast. The skills that make for an excellent student don’t necessarily make an excellent test-taker. This is why so many straight-A students struggle with SAT and ACT prep. Students need to take diagnostic tests early to figure out where their baseline score is. Don’t assume you’ll do well until you take one. More bad news: Testing anxiety is very real. For some students, testing anxiety is a pounding heart and a deep certainty of failure. For others, it’s overthinking every answer choice until they don’t know which way is up anymore. No matter how your testing anxiety shows itself, if you’ve got it, you’ll know it. 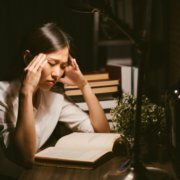 With a lot of practice and some good coping techniques, you can overcome testing anxiety. We also give some tips in our blog post about test anxiety. Test prep is a marathon, not a sprint. Plan to spend months – not days – prepping for the SAT or ACT. Take a diagnostic test early so you know where you stand and how far you need to go before test day. Many students find that they have a natural affinity for one test over the other. Consider taking a diagnostic SAT and a diagnostic ACT so that you can compare your scores. Test prep can take many forms – self-guided study with a good workbook (we like the official workbooks from ACT, Inc. and College Board), self-guided online study, professional test prep, or a combination of the three. There’s no one-size-fits-all approach, so be sure to seek test prep that you can customize to meet your needs. 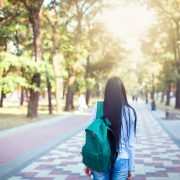 Read Part 1 about the importance of grades for college admissions. Read Part 2 about course rigor and college admissions. Worried about your scores? Contact your local C2 Education center to schedule a consultation.